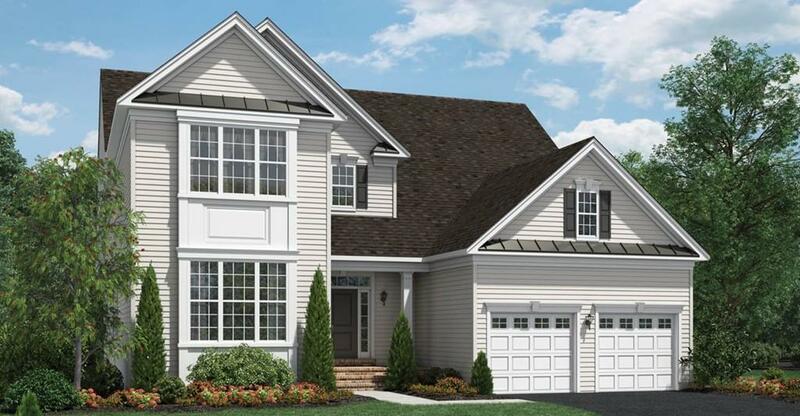 Move in summer 2019, Exciting Merrimack New England, three bedrooms and three bathrooms with a first-floor master suite; this home design is the one for you. 3,200 square feet and a loft area that features a bedroom and private bathroom. You will love the 10-foot ceilings, flexible spaces. This award-winning home offers wood flooring, granite counter tops, tile, and stainless steel as well as a gas fireplace. The gourmet kitchen includes beautiful custom cabinetry with under cabinet lighting, great for entertaining. A separate breakfast nook flows right off the kitchen with great natural light. The luxurious master bath features a frameless glass shower door and a tub. The home site features a covered deck addition, great for the spectacular sunset views. Pine hills offers a resort style community home to two public, 18-hole golf courses, trails and bike paths winding through hilly terrain, featuring a clubhouse with fitness center, heated pool, and tavern room. Listing courtesy of Anthony Polson of Toll Brothers Real Estate. Listing provided courtesy of Anthony Polson of Toll Brothers Real Estate.